Online recruitment portal Hiring-Hub.com has raised £425,000 through equity crowdfunding platform VentureFounders. 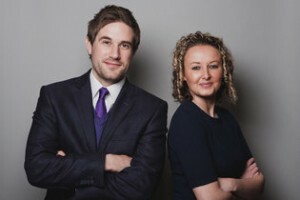 The Manchester-based business, set up in 2010 by Simon Swan and Sara Jones, lets agencies compete to fill vacancies for a fee set by the employer. The cash takes Hiring-Hub.com's total funding to £925,000 and will be used to develop its online platform and accelerate sales and marketing activity. Co-founder and director Simon Swan said: "We have grown quickly but manageably over the last 12 months and took our time to find the right funding solution. The fundraise will allow us to invest in our core technology, grow our sales team and double marketing efforts in 2015." VentureFounders, which connects investors to early-stage companies that are ready to scale up, sourced the funds the investment from 23 investors in 38 days, with investments ranging from £2,500 to £100,000. James Codling, chief executive of VentureFounders, said: "We were drawn to Hiring-Hub.com because of its innovate business model and high calibre management team. We believe it will really shake up the recruitment industry in the UK, and beyond."